Some people say we do things the hard way, but we don’t see it like that; we see it as doing things the right way. We believe in honoring our customers and giving them a boat they’ll stand behind just as much as we do; we are here to build the most effective, efficient, and well-built sportfishing boat in existence. 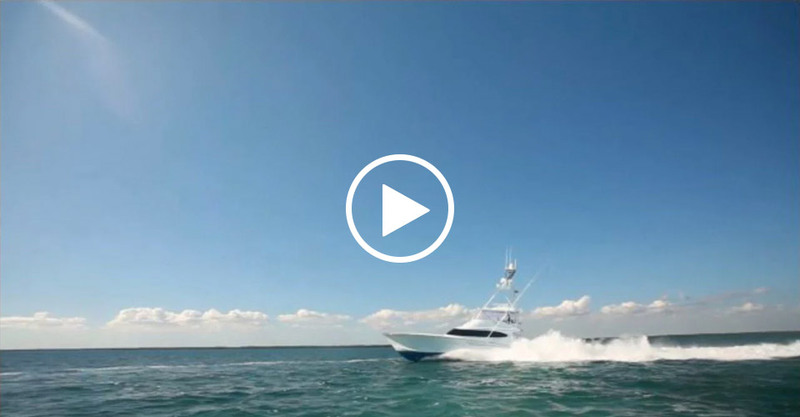 Ever wonder what it’s like to fish on a Bayliss GameBoat? We flew to Costa Rica and made this video to explain it the best way we know how. 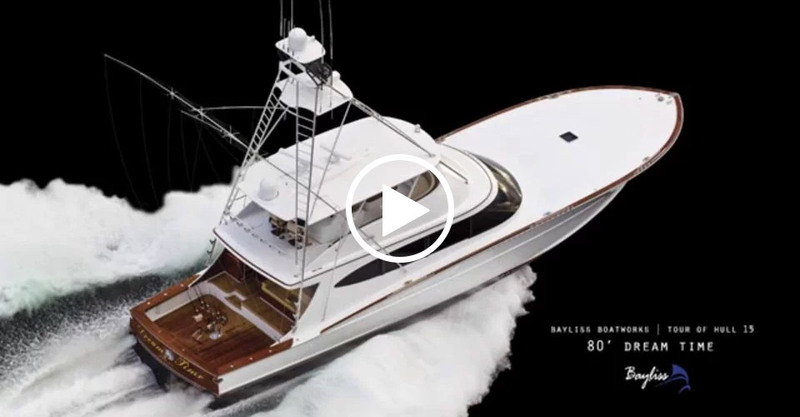 Click right to view our video depicting a full day fishing on our first GameBoat, the 60′ Mama C.
Bayliss Boatworks delivered Wave Paver, a 77′ custom sportifshing yacht, to its owners in August of 2017. A product of over 71,000 man hours and nearly 30 months of labor, Wave Paver holds a distinct combination of unique interior details, sleek exterior lines, and an assured purpose to travel the world and catch fish. Visit baylissboatworks.com/boats/wavepaver/ for Wave Paver’s full specifications and details. 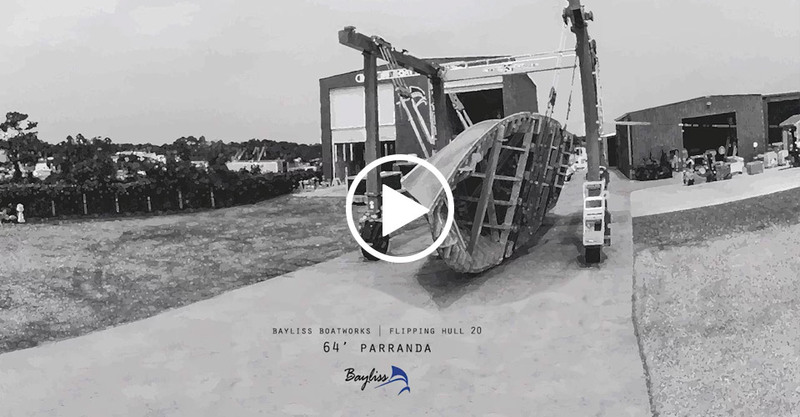 Bayliss Hull 20 64′ Parranda Virtual Tour Video! As with all Bayliss boats, Parranda was built to her owners specifications and desires: to travel the world and raise fish! 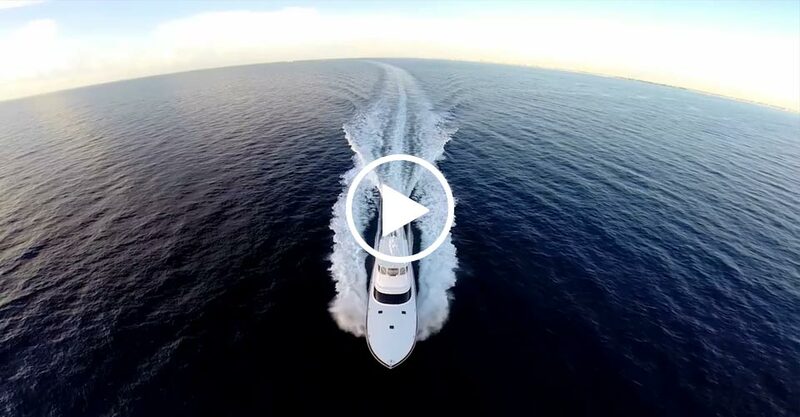 We are excited to release the virtual tour video of Hull 19 90’ Singularis. She is our largest boat to date, and with that, the most intricate. We are excited to share her with you, she is an example of what can be accomplished with vision, teamwork, dedication, and pride in what you do. Thanks to Harry Hindmarsh of Cabin Fever Communications for creating this video. Well put, and thank you again! It’s been a busy fall in yard! Come see us. Thanks to Right Coast Productions for creating this video. We are pleased to announce delivery of Bayliss Hull 18 77′ Clean Sweep! From the vision, to the planning, to the 68,145 man-hours that went in to crafting this vessel, she represents what can be accomplished with hard work, determination, perseverance, and teamwork. Her owners built her for extensive travel and fishing, and we are excited about her being ready to roll. 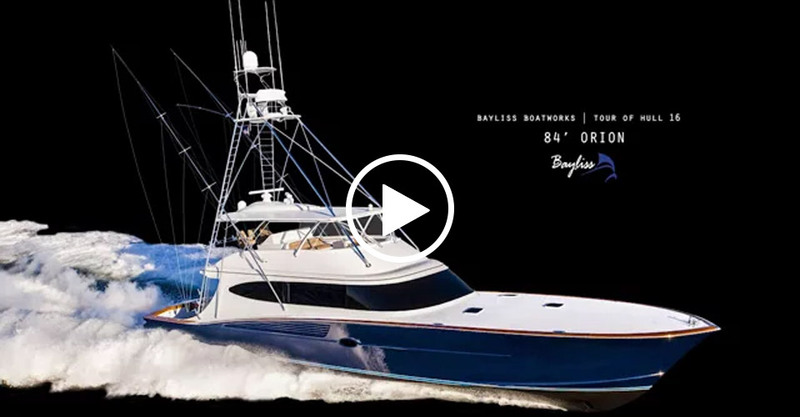 We are pleased to release the much-anticipated virtual tour video for Bayliss Boatworks Hull 16, Orion. At 84’ she is the largest boat we have delivered to date, and she is a culmination her owners’ ideas, along with over 70,000 man hours that made the vision a reality. As you will see in this video, Orion has many innovative features incorporated into her 5 stateroom / 6 head layout. She is built to travel and fish anywhere in the world, and be comfortable doing so. This video speaks volumes about Orion. Thanks to Harry Hindmarsh of Cabin Fever Communications for creating this video. Music: Melee by Russian Circles, taken from the album Geneva, released by Suicide Squeeze, 2009. 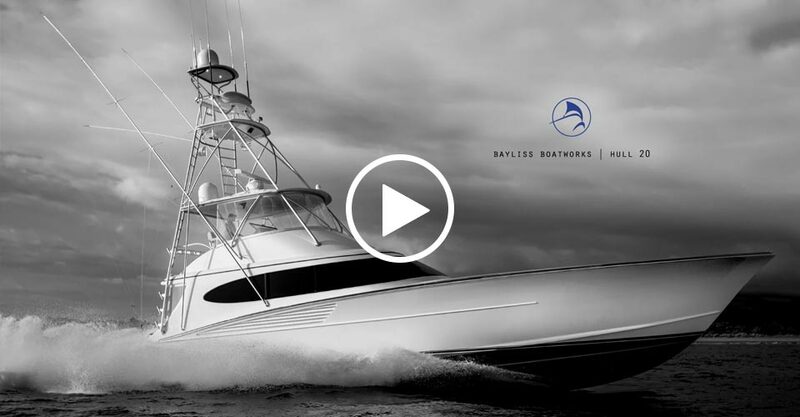 Virtual Tour of Bayliss Hull 15, 80′ Dream Time. Video Production: Harry Hindmarsh, www.GotCabinFever.com. Song: Hello Scotland. Artist: EF. Taken from album “Give me beauty… Or give me death!”. And the Sound Records 2006. 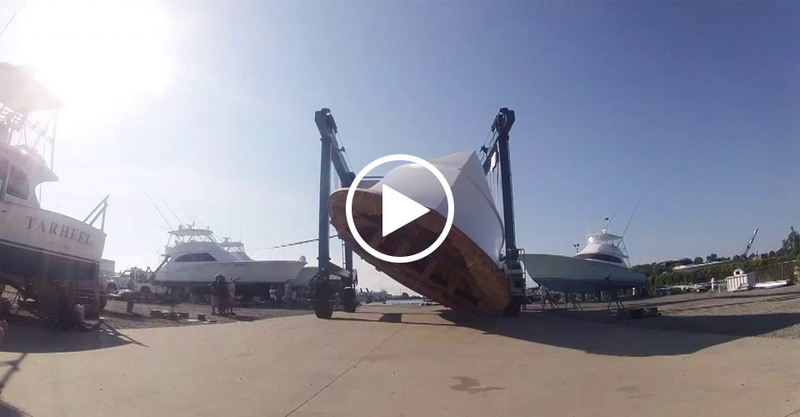 It’s always exciting to flip a hull – and flipping the 77′ Wave Paver was no exception! Thanks to Harry Hindmarsh of Cabin Fever Communications for producing this fun video of her flip. July 2015. Check out this short but entertaining video of Parranda’s flip. Thank you to Harry Hindmarsh and Cabin Fever Communications for producing this video! We have been really excited about Orion’s delivery later this month, and have certainly appreciated all of you who have tracked her progress through this build. 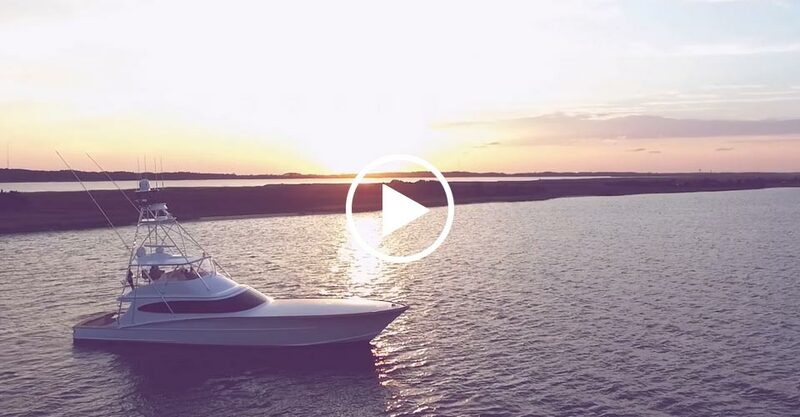 We were offshore of Oregon Inlet for a photo shoot with photographer Ray Matthews and videographer Chris Hannant getting some running footage, and we wanted to share a preview of what’s to come! Cabin Fever Communications will release her official virtual tour video this winter. Hope that you enjoy it! 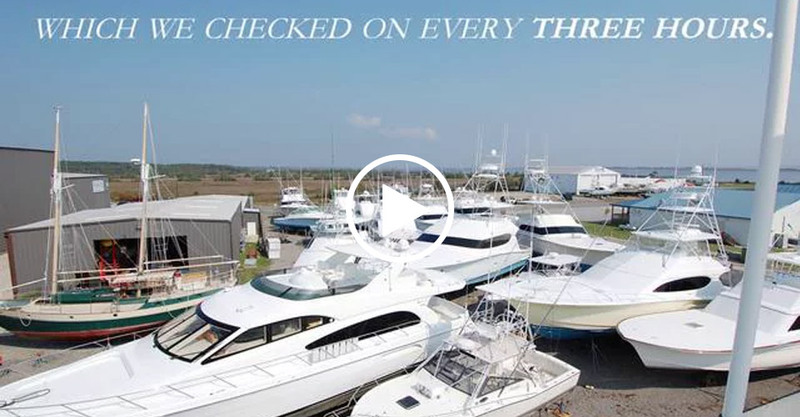 During Hurricane Irene, we hauled and blocked 52 boats in two days. We then checked on them every three hours during the storm. Every boat was safe and sound. When your boat is in our Hurricane Assistance Program, you are guaranteed haul out in the event of a major hurricane or storm. 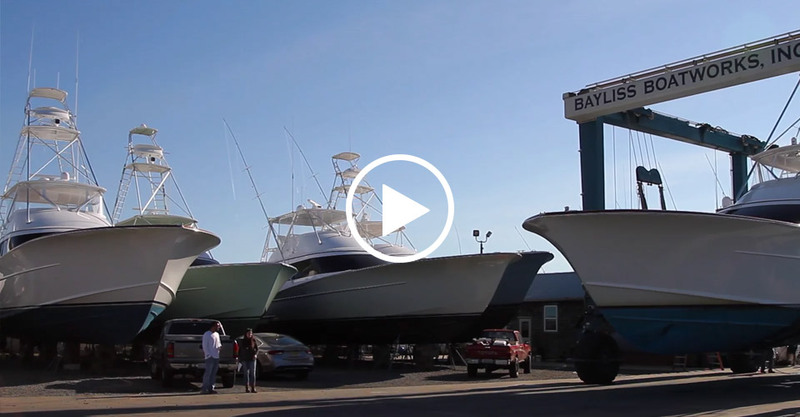 We are a full service boatyard that believes in doing things right. We specialize in everything from full paint, to engine re-powers and Seakeeper installs.